1. 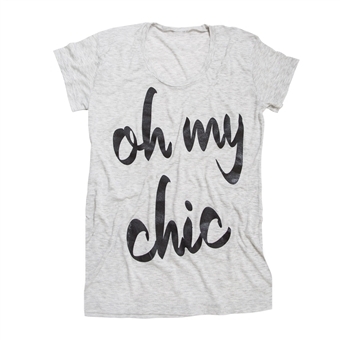 “oh my chic”… this tee from Ily Couture pretty much says it all. fabulousness over your favorite skinnies, or tucked into a high-waisted skirt for a night on the town. obsessed! 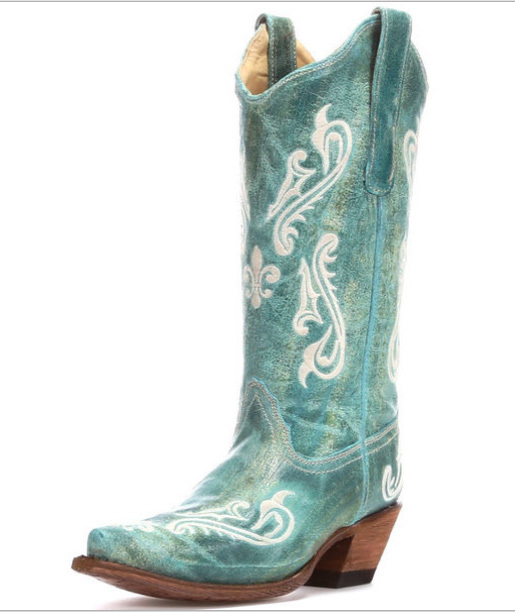 2. turquoise and cream Fleur de Lis Boots by Corral… there is not better way (in our humble opinion) to celebrate spring than by pulling on your favorite little sundress, a great jean jacket, and some cowgirl boots. Everyone already has a pair of brown boots… this spring go for color!! 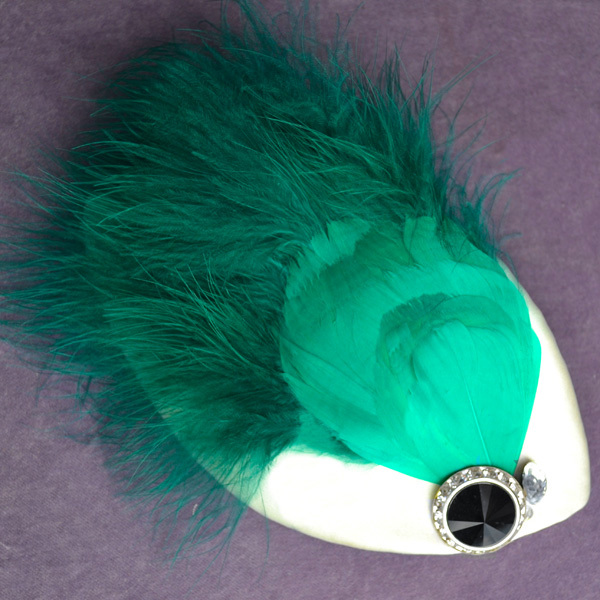 3. the feather queen headpiece is one of our favorite pieces for spring! diamond white silk satin, rich teal feathers, and a shining black button with crystals all make for a stunner to dress up for a fun spring date. 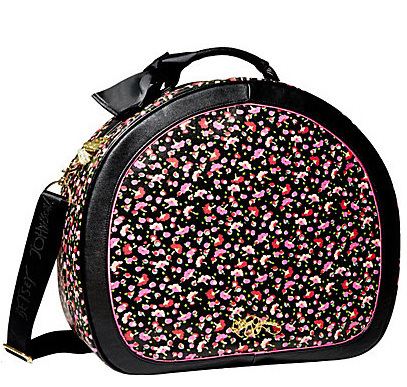 4. this delicious train case by Betsey Johnson is a chic throwback to a classic style, with a funky floral print and hardware to keep it fresh. 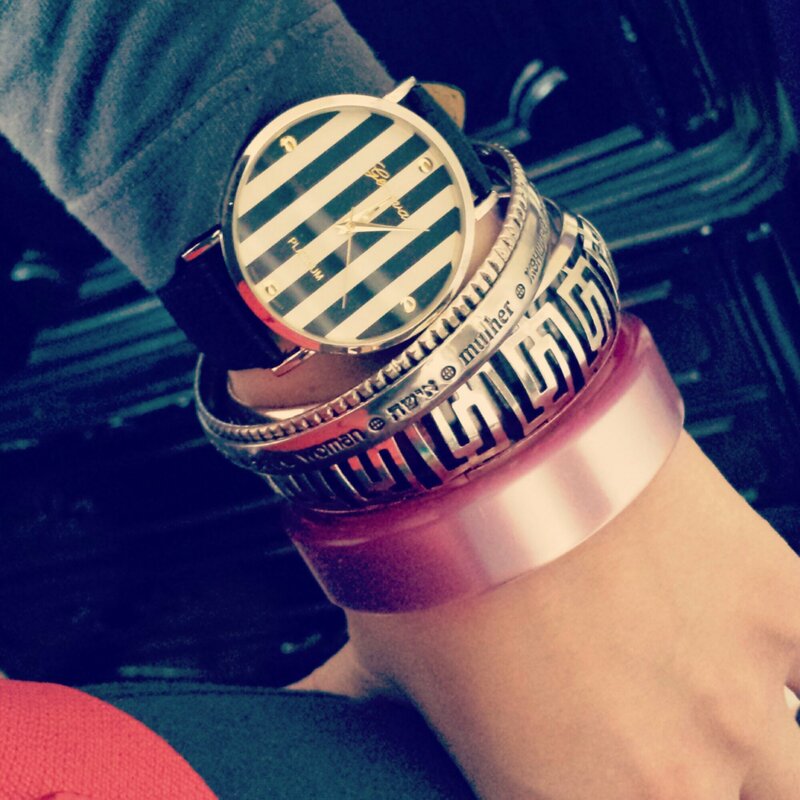 5. we just got this chevron watch at one of our favorite local boutiques, Mary Walter, and haven’t taken it off yet! okay, it comes off at the end of the day, but really- it goes with everything! Categories: style spotlight | Tags: chevron, fashion, prints, spring | Permalink. we love to layer texture, color, and detail to create beautiful works of art. our luxe satin and tulle flower is one of our favorite new styles that combines some of our favorite elements into one simple and elegant design. our inspiration came as we perused rows and rows of stunning ribbons in all the hues of the rainbow. we knew that we wanted to create something that let the eye-popping shine and rich color really stand out. to do this, we created a piece that is simple in design, layering the fabric with a stretch of our beloved bridal tulle, light and soft, with just a hint of color and texture to play against the ribbon and really let it stand out. softly gathering the layers, we carefully wind each piece into an elegant bloom. each one is a bit different in its beautiful form, paying homage to the handmade nature of each lovely piece. as we love to do, each piece is complete with the addition of a special centerpiece. for our custom bridal looks, we encourage our clients to find one of mom’s or grandma’s heirloom brooches or earrings, to bring “something old” into the special accessory. for our ready-to-wear pieces, we love to find the perfect vintage brooch, sparkly button, or special doodad to complete each work of art. we are creating our new favorite look in a variety of colors, sizes, and finishes for spring. swoon! 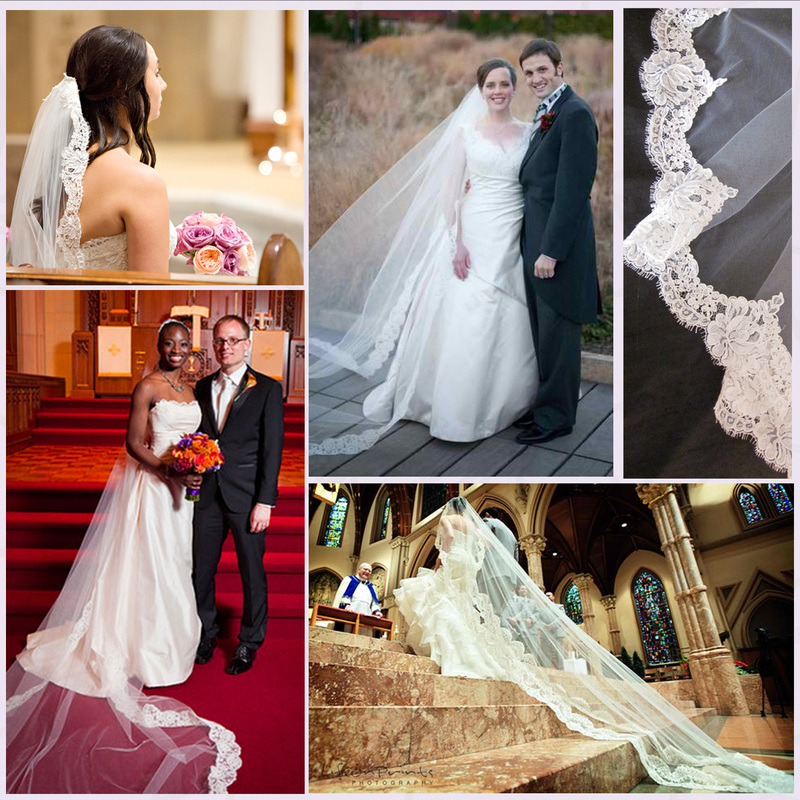 Categories: style spotlight | Tags: bridal, color, custom, flower, headpiece, heirloom, satin, tulle, vintage, wedding | Permalink. the regal peacock has fascinated and inspired us for years. we are in awe of it’s amazing display of vibrantly hued plumes, extending in a dramatic fan from it’s petite and poised body. the rainbow of blues and greens is truly breathtaking; it is almost hard to believe that it is a natural creature, and not a fantastical image conjured in a dream. did you know there are white peacocks, as well? they are equally as stunning, with the same spectacular display, but in brilliantly shimmering white. we are always seeing the beautiful peacock’s form in fashion, and it’s always swoon worthy. we just can’t get enough of these gorgeous creatures! who wouldn’t love a bit of peacock fabulousness in their home? 222 Fifth makes these beautifully intricate porcelain Lakshmi Peacock plates that we would love to put on our dining room table. we are especially loving the oversized peacocks that take cocktail attire from the LBD to a whole new level. check out the gorgeous Perfect Poise Peacock Dress from ModCloth– we’re totally obsessed! and this stunning vintage-inspired Peacock Statement Necklace from C Wonder, one of our favorite new online shopping destinations, is the perfect mix of color, metal, texture, and sparkle, perfect for the holidays. we love making peacock-adorned magic! some of the fabulous pieces we have created… one of our favorite new bridal sets, a boutonnière for him and a fancy headpiece for her, all in shimmering natural peacock feathers and adorned with shimmering vintage inspired buttons. we worked with a bride to create these fabulous peacock feather, marabou plumage, and swarovski crystal brooches for the bridesmaids party. lucky girls! this is one of our favorite fall pieces, a gorgeous fan of ivory peacock plumes, anchored with shimmering ivory pearls. 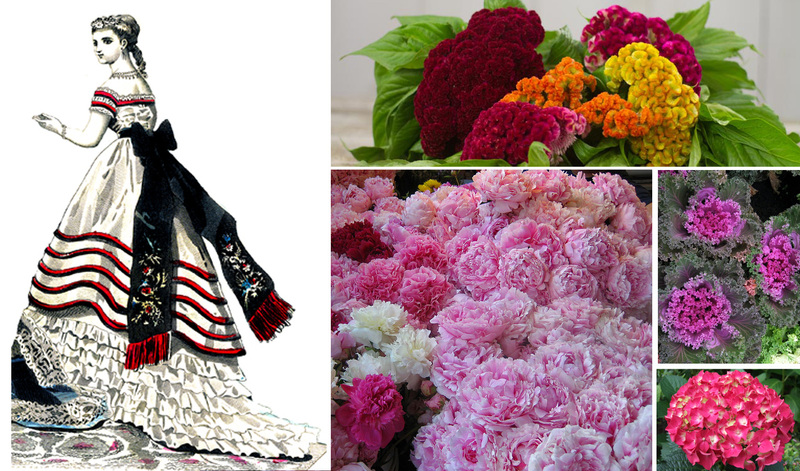 Categories: style spotlight | Tags: birds, color, fashion, feathers, nature, peacock | Permalink. ah, the birdcage veil. retro glamour at it’s absolute finest. 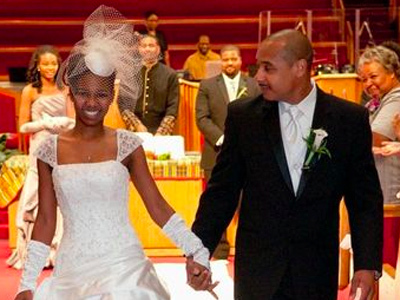 the style has changed little over the years, remaining constant as a bridal favorite. 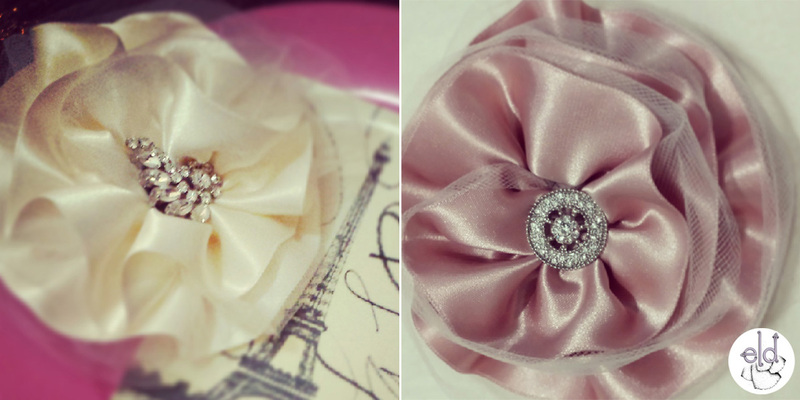 perfect for the bride who won’t be doing a traditional veil. perfect for the bride who wants something sassy and bold. 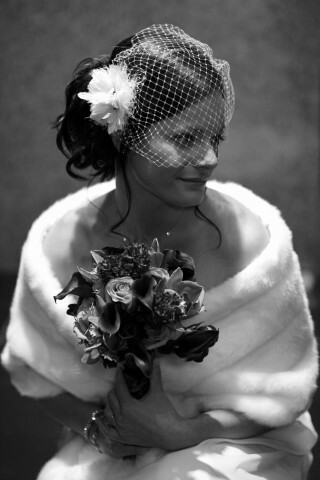 perfect for the bride wearing a gorgeous feathered frivolity in her hair and wants to add something more to the look. the birdcage veil is universally flattering, with that oh-so-flirty peekaboo look that comes from the dramatic net veiling inspired by the handcrafted French silk nets, now sadly a thing of the past. 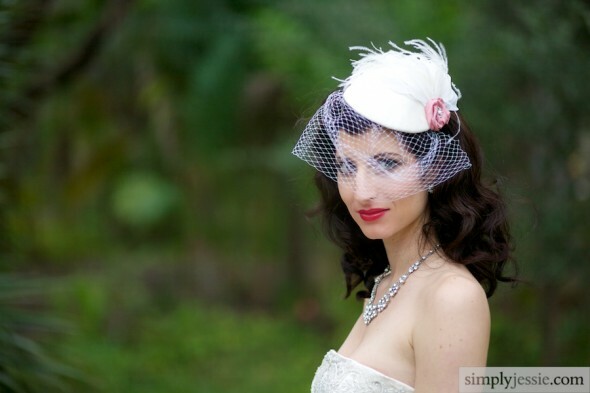 dramatically covering the entire face, or cocked to the side and grazing over the cheekbones, brides go for a birdcage veil when they want to really make a statement. gorgeous looks, each one unique to the bride who wears it, and all bearing that signature look that can only be captured with the perfectly fabulous birdcage veil. 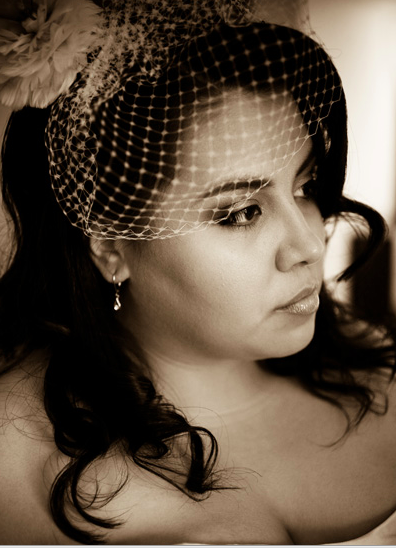 Categories: style spotlight | Tags: birdcage, retro, style, veils, wedding | Permalink. ruffles. just the word itself brings countless lovely images to our minds… dramatically oversized victorian-era dresses… elaborately tiered wedding cakes… perfectly feminine ballerina tutus… gorgeous flowers. it is these most extravagantly layered flowers, their texture and form and design, that inspired the style for our ruffled pencil edge veil. 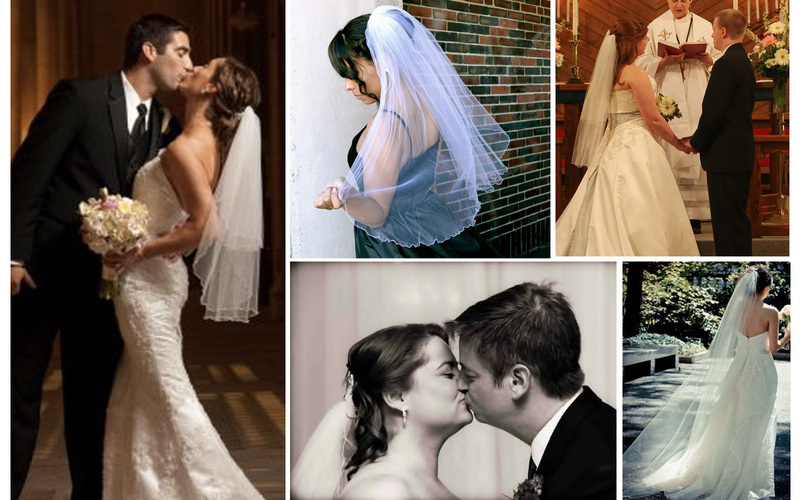 Categories: style spotlight | Tags: flower, ruffle, veil, wedding | Permalink.